Casually designed with smart features, this Liv360 nightstand makes for a perfect bedside companion. 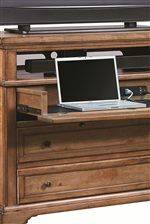 Two drawers, including a felt-lined top drawer provide space for items like reading glasses or books. 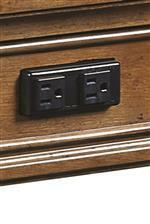 AC outlets in the top drawer allow you to conveniently charge your phone within the drawer while you sleep. 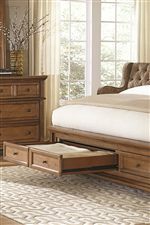 Featuring sturdy bracket feet, framed drawers and a warm Butterscotch finish this Liv360 nightstand brings you modern function with casual rustic style. 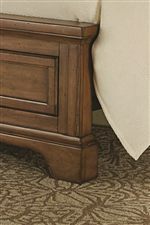 The Alder Creek Liv360 Nightstand with 2 Drawer and Outlet by Aspenhome at Walker's Furniture in the Spokane, Kennewick, Tri-Cities, Wenatchee, Coeur D’Alene, Yakima, Walla Walla, Umatilla, Moses Lake area. Product availability may vary. Contact us for the most current availability on this product. The Alder Creek collection is a great option if you are looking for furniture in the Spokane, Kennewick, Tri-Cities, Wenatchee, Coeur D’Alene, Yakima, Walla Walla, Umatilla, Moses Lake area. 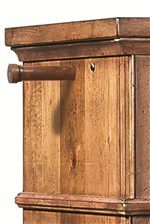 Browse other items in the Alder Creek collection from Walker's Furniture in the Spokane, Kennewick, Tri-Cities, Wenatchee, Coeur D’Alene, Yakima, Walla Walla, Umatilla, Moses Lake area.